Located in Calgary’s most popular quadrant, houses for sale in SW Calgary are highly desired for their proximity to the downtown core. SW Calgary real estate is in the middle of the action, and offers thousands of dining, shopping, and entertainment venues. Real estate in the area ranges from multi-family dwellings to luxury sky-rises, offering a range of opportunity to suit anyone’s needs. Learn more about real estate and life in SW Calgary below or use the navigation bar to the right to browse local communities. Real estate in SW Calgary primarily consists of condos and single-family homes. The majority of SW Calgary homes are older, although development continues to occur in this quadrant. 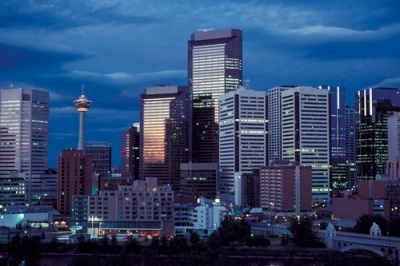 In total, there are over 80 SW Calgary communities and each one has a distinct and unique style. Downtown Calgary is a hub of excitement, and is the place to be, with sophisticated condos and preserved heritage homes. Home to about 10,000 people, the downtown core is comprised of three main communities: West End, commercial core and East Village. The downtown West End is currently one of the hottest Calgary SW real estate markets and offers great investment potential for savvy buyers. Cuddled up the Glenmore Reservoir and North Glenmore Park, real estate in Lakeview is popular and diverse, with a great mix of apartments, condos, and housing solutions that attract a wide range of residents. Homes in Elboya tend to have large yards, trail and river-access, and convenient commutes. Wildwood is one of SW Calgary’s best-kept secrets: a friendly, pedestrian-focused neighbourhood that’s only 10 minutes from downtown Calgary. Chinook Park also boasts convenient transit, great neighbours, and a low crime rate. 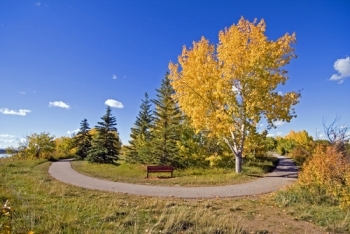 Elbow Park is one of Calgary’s wealthiest and most established communities, along with Rideau Park and Bel-Aire, which attract many of SW Calgary’s professional elites. While we hope these get you started, there are many more SW Calgary real estate opportunities. Take a look at our listings search to help you find exactly what you need. Beyond the thousands of shops, bars, pubs, restaurants, and cafes, SW Calgary offers unique opportunities for entertainment. From rock climbing and swimming, to karaoke and skateboarding, there’s something for everyone in this popular quadrant. The whole family can have a great time in SW Calgary and indulge in family-entertainment opportunities. Some of these include racing at Kartworld, standing on top of the world at the Calgary Tower, or going back in time at the Heritage Park Historical Village. Many families flock to Eau Claire Market, which has shops, community spaces, and an indoor playground. There are also pools, parks, libraries, and annual festivals to keep the whole family active and engaged throughout the year. SW Calgary is the cultural capital of Calgary, with several premium arts, museum, and theatre destinations including The Art Gallery of Calgary, Art Central, the Naval Museum, and the Museum of the Regiments. The Lunchbox Theatre entertains visitors with lunch-time plays, the Martha Cohen Theatre premieres cutting-edge Canadian theatre, and the eloquently named Vertigo Mystery Theatre engages audiences in suspenseful mysteries and well-loved touring acts.